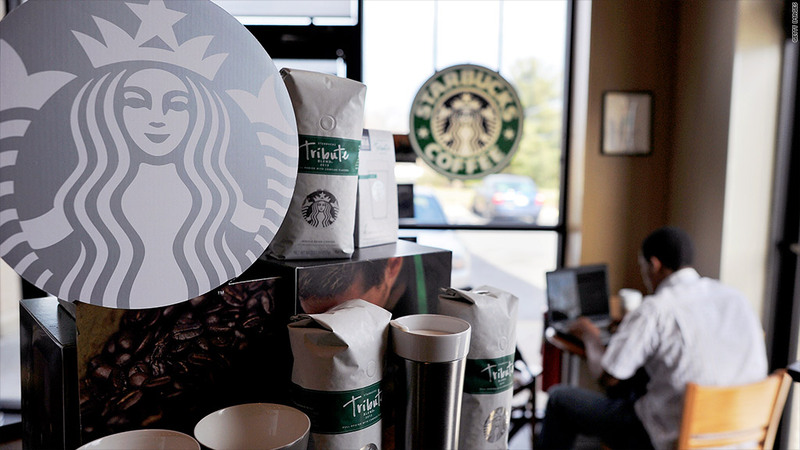 A years-long contract fight between Starbucks and Kraft ended Tuesday with an agreement the coffee maker will shell out $2.7 billion. The dispute stems from a contract Starbucks (SBUX) backed out of in 2010 under which Kraft (KRFT) handled the coffee chain's grocery store business. Starbucks said it has since grown its non-restaurant retail business 62% and has become nearly 50% more profitable in that sector than when was aligned with Kraft. For its part, Mondelez International (MDLZ), which owned Kraft when the contract was in place, said it was "glad to put this issue behind us." The relationship between the two companies was first minted in 1998. A ten-year contract giving Kraft exclusive rights to sell packaged Starbucks coffee to retailers was signed in 2004. Starbucks stock dipped slightly on the announcement, and Mondelez rose about 3%.